*Beef protein isolate, cocoa powder, vanilla extract, chocolate extract, stevia and sea salt. (*tested free of hormones and antibiotics). Mix one scoop into 4 to 8 ounces of water, almond milk or coconut milk. Shake jar before opening to ensure proper serving size. This is a natural product and may exhibit density, color and taste variations. Consult your healthcare practitioner before using this product if you are pregnant, nursing or under medical supervision. Grass-Fed Beef Protein! All-New, Ultra-Convenient, Two-Carb Protein Powder! Grass-Fed Beef Protein! 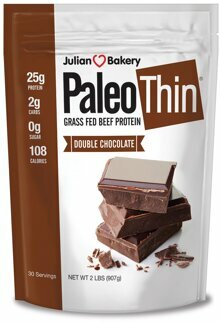 All-New, Ultra-Convenient, Two-Carb Protein Powder!Grass-Fed Beef Protein! All-New, Ultra-Convenient, Two-Carb Protein Powder! Grass-Fed Beef Protein. All-New, Ultra-Convenient, Two-Carb Protein Powder. Thousands of years ago your hunter-gatherer ancestors ate animals to stay strong and agile. Bodybuilders have long recognized the muscle-building power of beef for years. Now all-new technology allows you to pack the power of beef into the convenience of a 100% Paleo protein supplement. Taking protein powder to the next level, Paleo Protein packs a mind-bending 23 g of protein into a 30 g serving... with only 127 calories and 2 carbs! 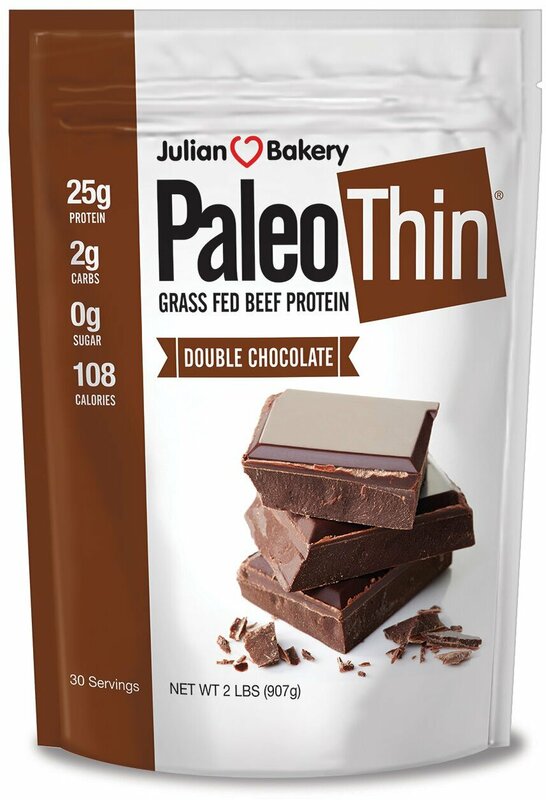 Paleo Protein is based on Hydro Beef (Grass-fed beef protein, tested free of hormones & antibiotics) – an entirely new protein source only recently made available on a commercial scale. Grass-Fed Beef Protein. All-New, Ultra-Convenient, Two-Carb Protein Powder. Grass-Fed Beef Protein. All-New, Ultra-Convenient, Two-Carb Protein Powder. Containing no allergens, bovine protein is an amazing alternative for those on dairy-, soy-, and/or egg-free diets. Enhance Your Lifestyle: Convenient powder form, ideal for on-the-go lifestyles. Perfect for smoothies and shakes, as a meal replacement or post-workout booster. Curbs hunger and boosts energy. Great for weight management and muscle-building plans. Enhance Your Nutrition: A complete protein. Super low-fat and no cholesterol. Created with a proprietary, cold manufacturing process to maintain purity. Enhance Your Muscles: Amino acid profile contains high levels of leucine, a potent activator of muscle protein synthesis (muscle growth). Pure, pharmaceutical grade, ultra-concentrated protein. Rich in naturally occurring, BioValuable growth factors and peptides.